NBA referees have dealt with angry coaches, players and fans since the days when the game was played in cages. Now, the referees are turning to a very modern invention to meet and, hopefully, defuse some of that fan drama at its source: Twitter. We often question calls made by referees. Now we’ll be able to get all of our questions asked by tweeting. 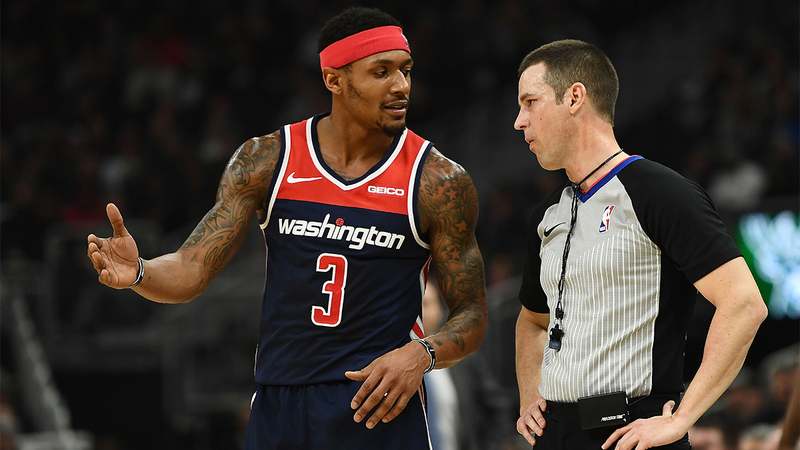 The NBA and the National Basketball Referees Association (NBRA) are attempting to grow their social media reach by having referees live tweeting during games and interacting with fans. By tweeting at the NBRA’s official account, @OfficialNBARefs, or using the hashtag, #RefWatchParty, fans can ask questions and get explanations about certain calls by a team of league referees. According to Newsweek, this practice was first used during Game 3 of the 2018 NBA Finals. Now, the live tweets have expanded beyond the postseason. The first live tweeting experience of the regular-season happened during the Warriors-Lakers game Jan. 21 and during the Spurs-Sixers game Jan. 23. Using social media to help fans understand the game is another way the NBA is expanding its digital audience and fan interaction. The Washington Post reported that, according to Twitter’s data, the NBA was the most tweeted about professional sports league in 2018. Might the interaction through Twitter start a trend in how sports use social media for fan engagement. The Major League Baseball Umpires Association has a Twitter account. According to Fox Sports, the NFL Officiating Twitter account was used to post an explanation for a controversial call that resulted in a Week 7 loss for the Cowboys. Neither has, as yet, tried having officials live tweet. When speaking to SportsTechie, NBRA spokesman Mark Denesuk explained officials would have access to the NBA replay center as a result of the partnership in the effort. By using the replay center, referees can see replays from different camera angles and different speeds, allowing visuals to accompany the referees’ explanations. Other sports are likely to follow suit sooner rather than later. According to Forbes, as live digital interaction increasingly merges with the in-game sports experience, teams are seeing an increase in fans and social engagement. For now, the NBA referee live tweeting initiative will continue to be explored and slowly expand to include more games around the league.